Applications to participate in Bridging Oregon are now open to people who live in and around the Columbia River Gorge. Apply by March 10 and join others in a conversation series about important topics for your community. 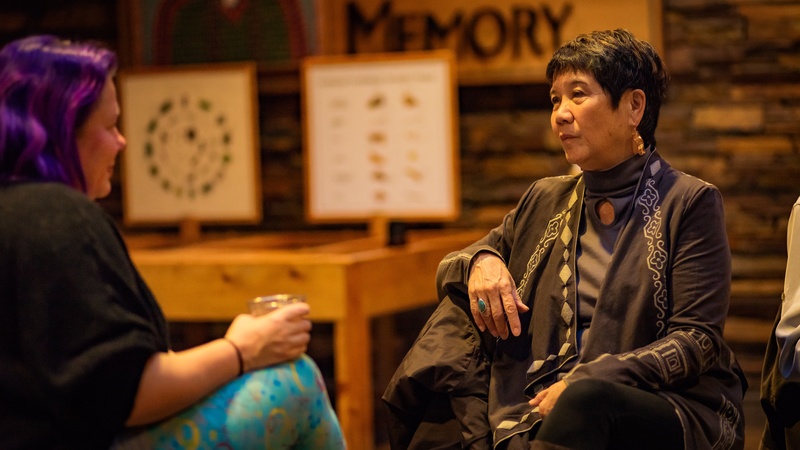 Yoko Ikeda shares her experience with Bridging Oregon, a monthly conversation series that explores the idea that we're divided as a state and asks how we can come together to create stronger, more resilient communities. A free college humanities course for adults who do not have a college degree and who face financial barriers to continuing their education. Once each year, Oregon Humanities’ volunteer board of directors awards Public Program Grants between $1,000 and $10,000 in support of programs across Oregon that get people together to think and talk about challenging issues and ideas. Grants which support programs created in response to timely issues or events that the applicant organization is qualified to help the public explore.